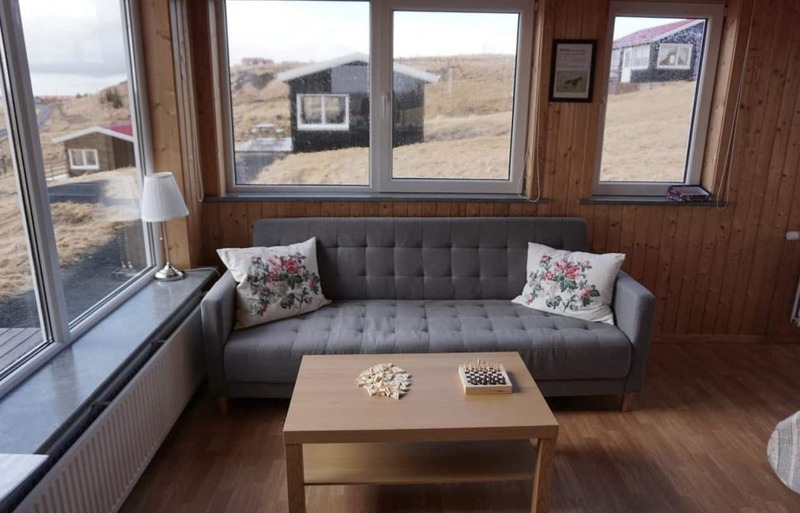 We provide accommodation in a cozy house with a kitchen and a living room where up to 10 people can stay at the same time. 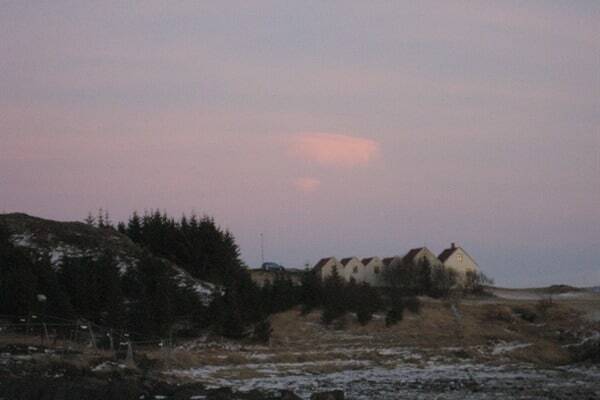 The view from the house is breathtaking and to the east the famous volcano Hekla is dominating. We give guidance and schooling in training and horsemanship and shorter riding tours. Participation in farm work is also on offer. 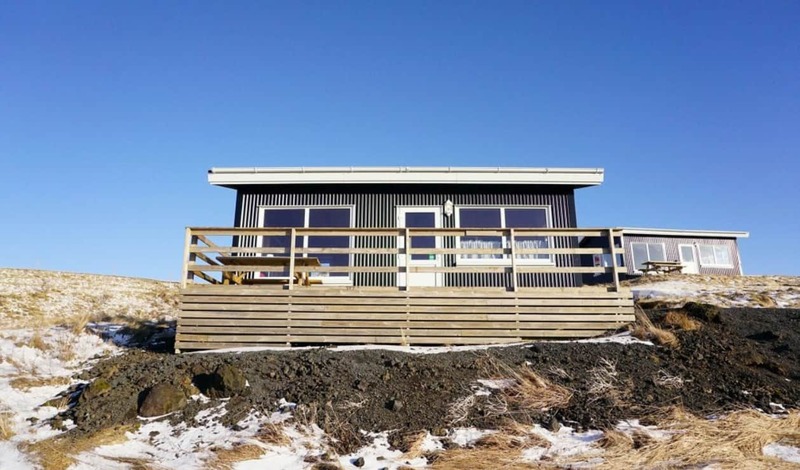 This blog is the best travel guide to Iceland and here you can find some tips about Iceland through the entire year. 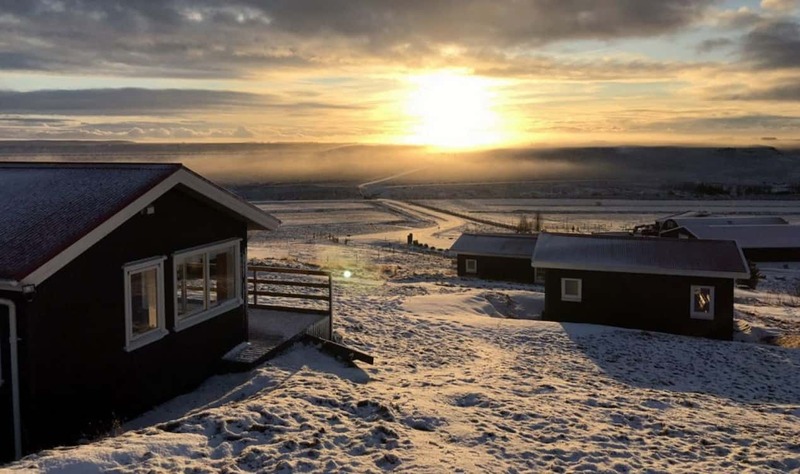 One of the most spectacular views in the entire island is to be found on farm Hafursá, juxtaposed to Iceland´s most impressive forest at Hallormsstaðs. Come and experience the sunset at lake Lögurinn with the verdure of the forest and Mt. Snæfell as a backdrop! Only 22 km. 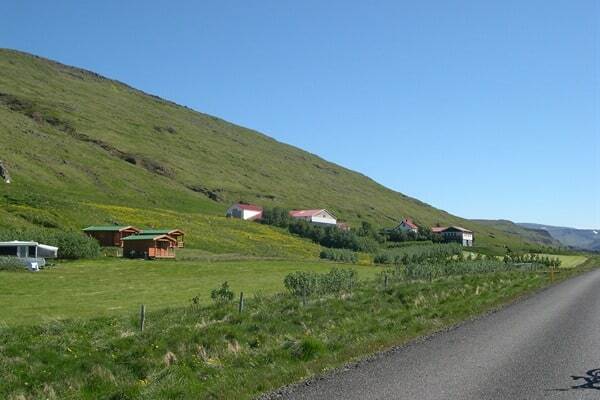 away from Egilsstaðir town with all major services. 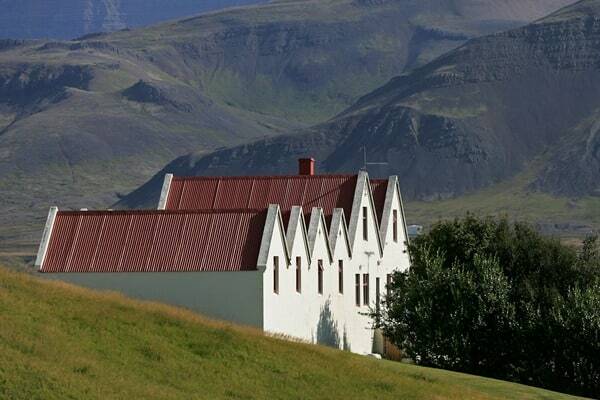 Iceland travel blog can be your tourist guide to find out more about Iceland travel tours. Hafursá has two chalets, sized ca. 40m2, which share the same platform. 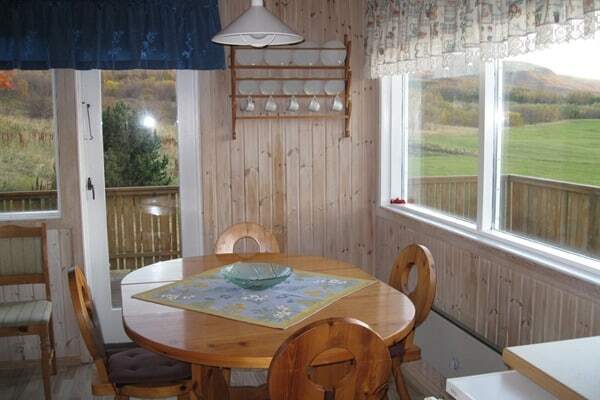 Each chalet has space for six people. There are also two two-room apartments on offer with optional kitchen facilities / breakfast service. 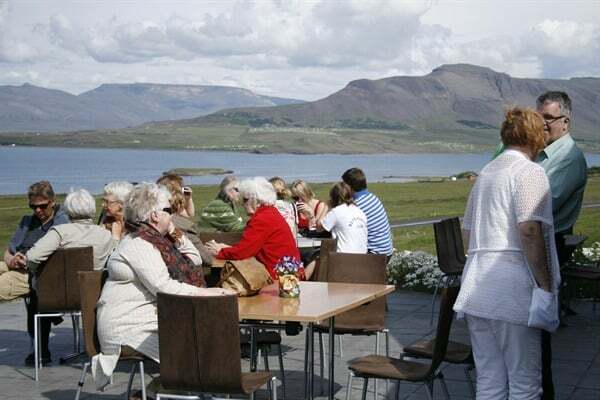 Come and enjoy the Hafursá haven in some of the most spectacular surroundings in East Iceland. 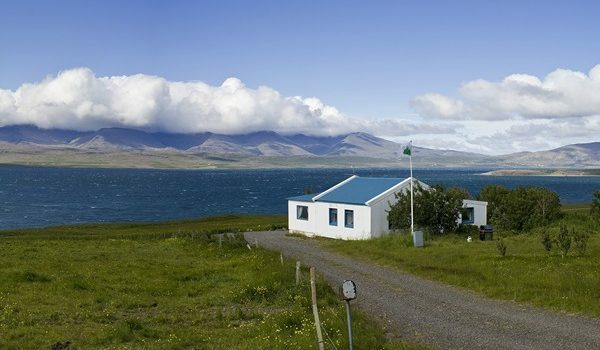 If you are a camping lover, Iceland Tourism Blog has an offer for you that you should give a try. 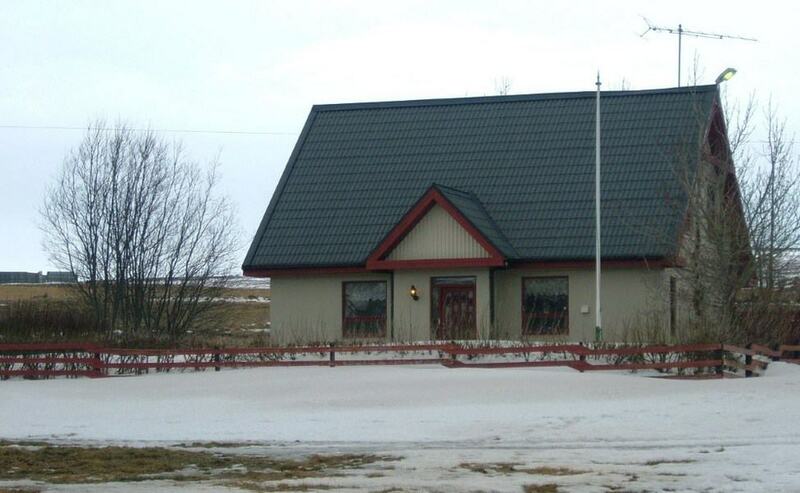 Visit Borgarnes Camping ground and share your experience. 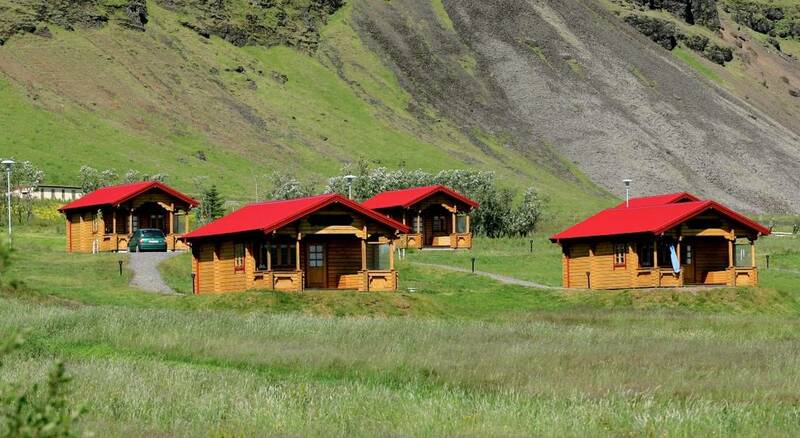 If you have decided to have a holiday in a camping area, follow this link and find more Iceland tourism information. 140 square meter well equiped cottage. Sleeping bag acc. on short notice if the house is not in rent. Please contact for prices and booking information. 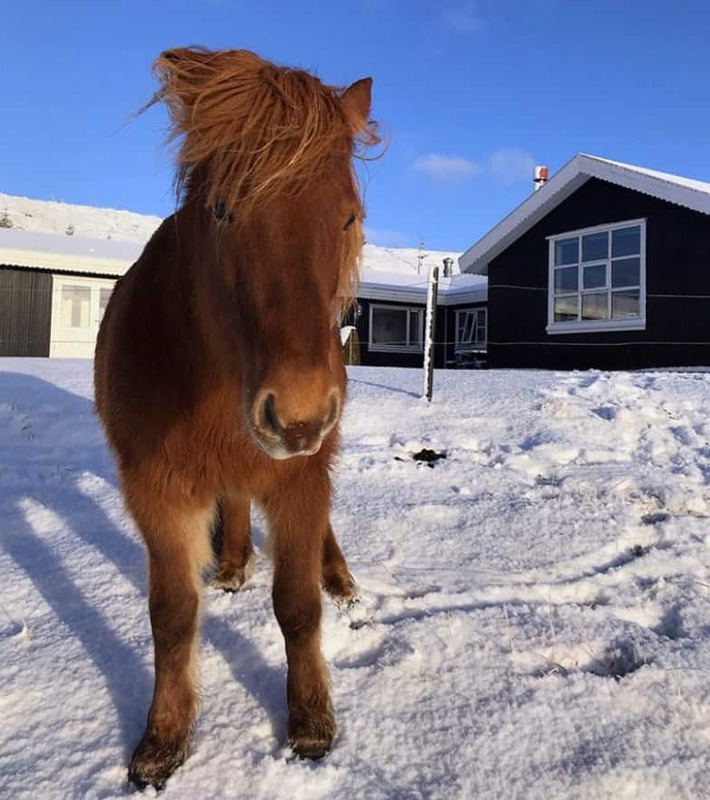 Hestheimar horse farm offers accommodation in a cosy guesthouse, ideal for those who would like to get to know the Icelandic horse or enjoy a country stay. In the main building there are 6 double rooms with private bathroom, 2 with shared bathroom, access to a hot pot. 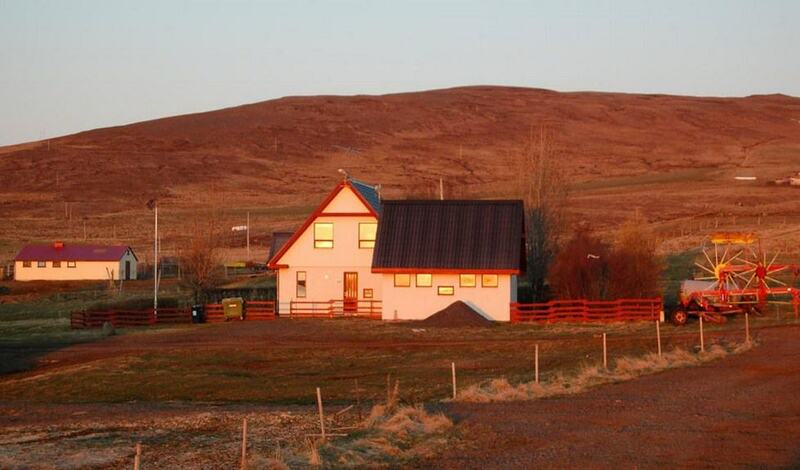 In the Gueshouse are 2 double rooms with private bathroom and 2 with shared bathroom. A hot pot and cooking facilities. There are also two, new cottages, as ideal family rooms with private bathroom, kitchen facilities and veranda with a beautiful view. Made up beds for 42 persons. A cosy barn loft for maximum 20 people in sleeping bags with a fully equipped kitchen and good bathroom and washing facilites. Full board available, all cakes and bread homebaked. 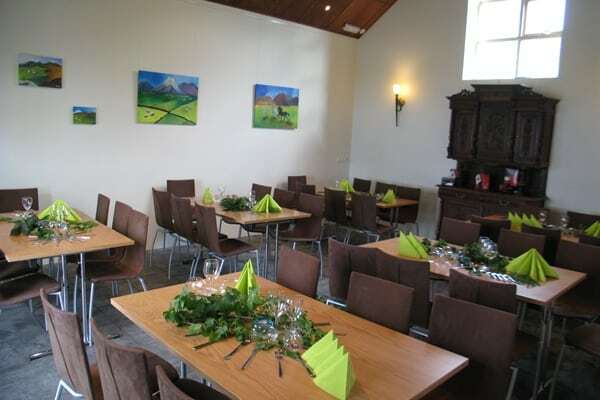 Spacious dining hall, which seats up to 180 people, opens out into a riding hall. Ideal for special events such as horse shows, dining, line dancing, incentive activities , etc. 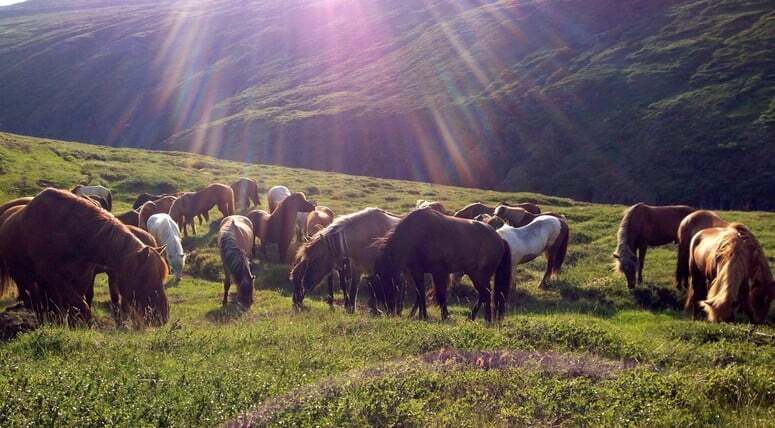 Horse rental is open all year; various, beautiful riding paths in the area. 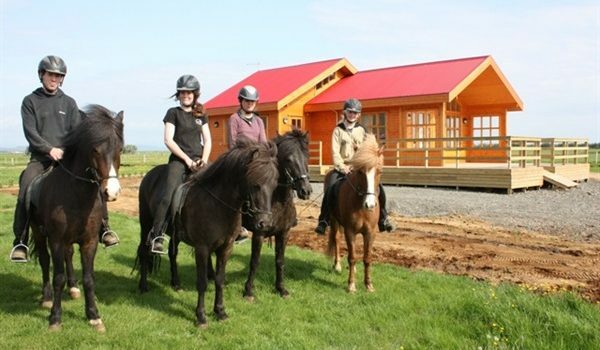 Longer riding tours available in the summertime, from 1-8 day riding tours in Iceland’s magnificient countryside, tailormade for each group. 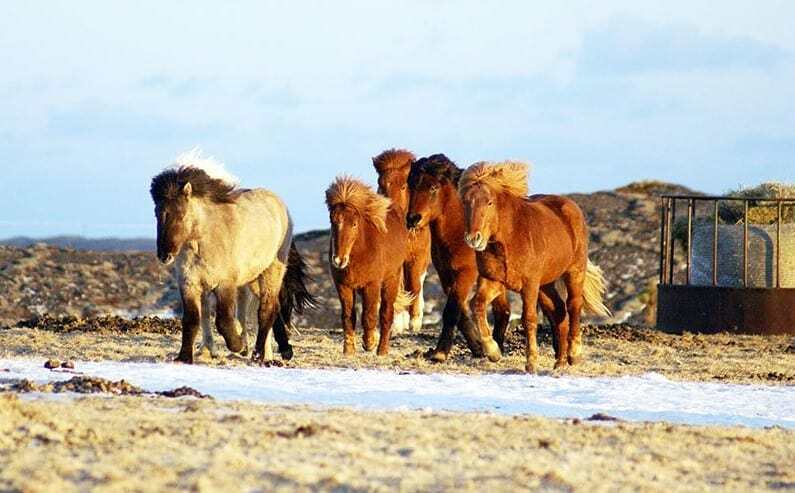 Horse sale all year. Riding lessons by professional riding teachers, English, German and Scandinavian speaking. 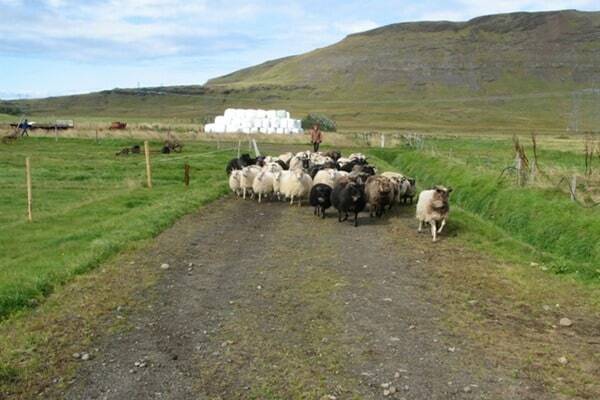 Visits to other breeding farms in South Iceland. 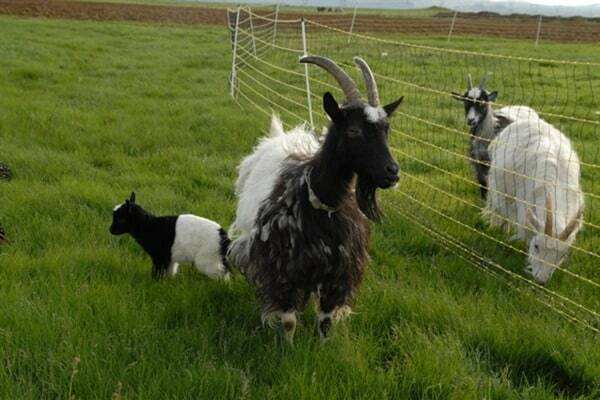 Farm stay; guests can stay at the farm and experience the farm life. Horse shows for groups with coffee buffet or country style BBQ. Weekend riding clinics for 4-12 riders. Incentive tours for groups; teambuilding activities, dining included. English, Scandinavian and German spoken, as well as a bit of French. Hestheimar is by road no. 281, 3 km off road 1. 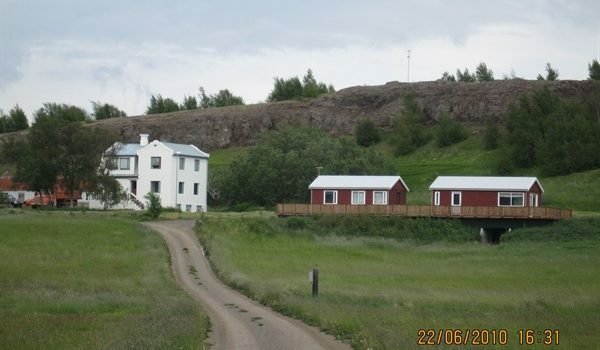 Only 50 minutes drive from Reykjavík. 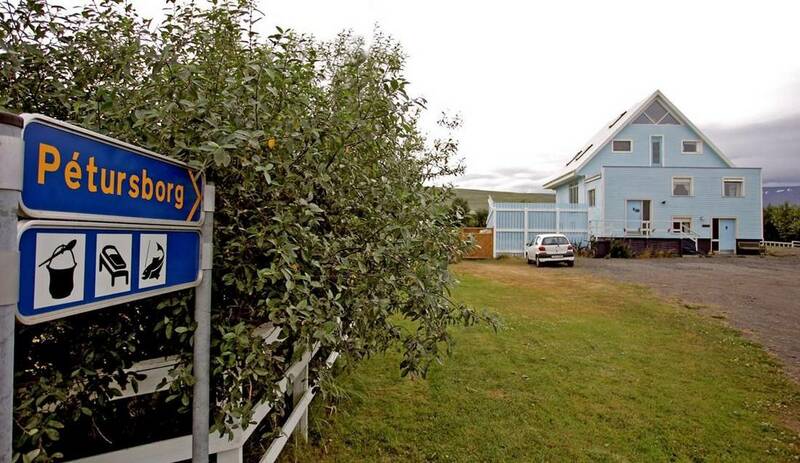 From Selfoss: Leave Selfoss heading to Hella on road no. 1. Stay on for around 23 km. Turn left on road no. 281, flags and sign by the road. Stay on for around 3 km, there you will find the farm Hestheimar. Open All year; Closed 20.12. – 10.01.